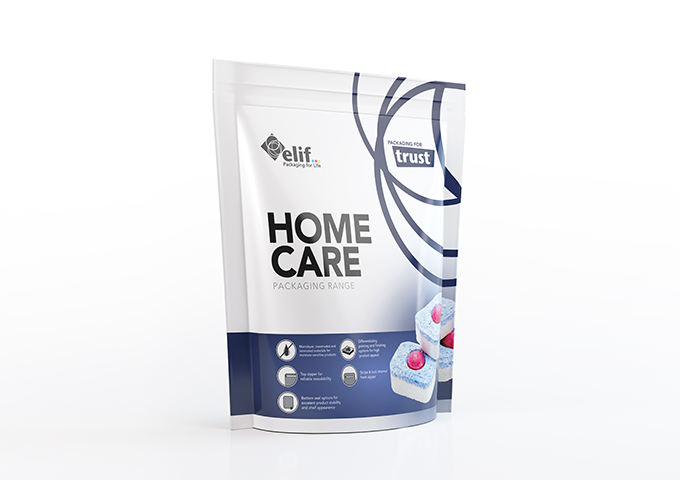 Elif’s mono-layer films and laminated detergent films on reels are processed for packaging for the retail sale of laundry and dishwashing detergents, fabric conditioners, bleaches, cleaning materials, ironing aids and pre-wash agents in liquid, powder, tablet or capsule formats. On selection of the material, focus is always placed on the requirements of the packing technology and the packaged product. 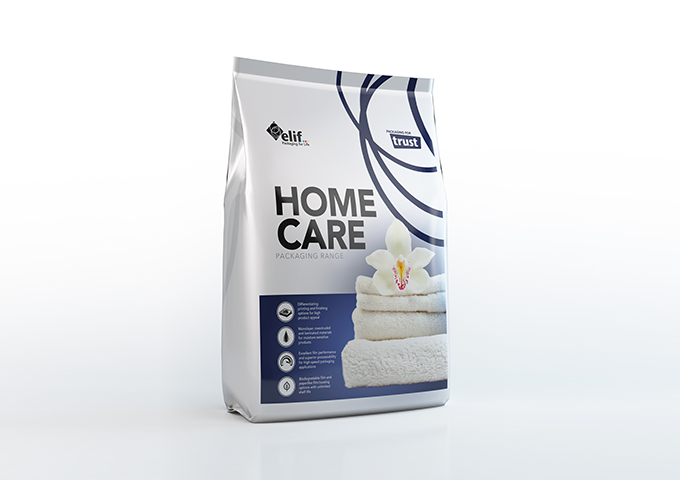 For moisture-sensitive powder products, Elif’s mono-layer, co-extruded or laminated materials offer highest product safety as well as optimal results on converting and packaging lines. 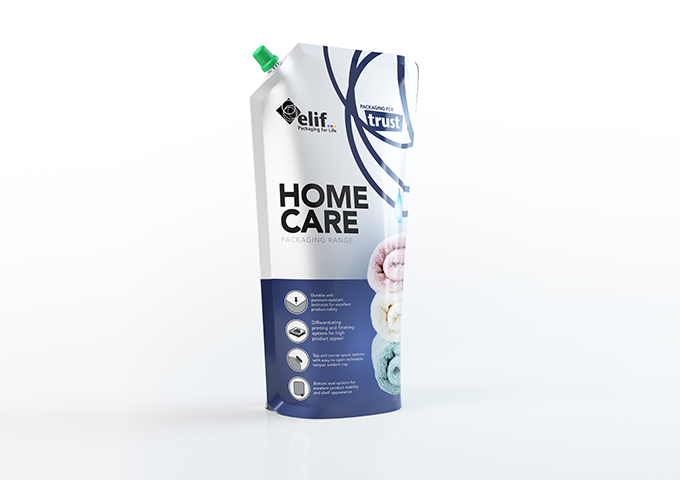 The flexible stand-up pouches offered by Elif with recloseable spouts or easy pouring features, are premium packaging solutions for primary and refill packaging of liquid household cleaning products.